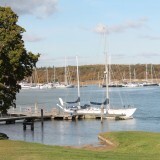 Step back in time with guided tours of 18th century shipbuilding village Buckler’s Hard this October half-term, plus visit on selected dates to take a tour aboard HMS Medusa and Gipsy Moth IV. 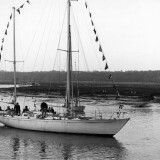 Gipsy Moth IV has returned to her home at Buckler’s Hard for the winter, where visitors will be able to climb on board the famous yacht on select days. 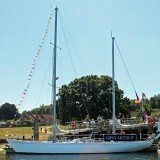 Gipsy Moth IV is to return to Buckler’s Hard on 12 August 2016 for the 50th anniversary of Sir Francis Chichester setting sail on his solo circumnavigation of the globe.